As the most visited, most cosmopolitan and the largest city in Australia, Sydney has been attracting more and more tourists every year. This is no surprise, bearing in mind what it has to offer, and the fact that only few places boast such variety and a wide range of things to see and do. There are so many tourist attractions that no matter how long you decide to stay, you’re bound to miss some of them, but that’s only the reason for you to revisit this magnificent city. If you’ve never been to Sydney and have only five days to explore it, here are some ideas that should help you plan your itinerary, provided you’ve already sorted your plane tickets and accommodation. Sydney Harbour is a wonderful and probably the most famous landmark in Sydney and you might start your holiday by visiting it. With so many cruises available, you can opt for sightseeing cruises, a dinner cruise, a dance cruise or simply hop on one of many ferries that operate out of Circular Quay to other destinations within greater Sydney. There’s even an option to sail on an authentic sailing boat, which is definitely something you’ll remember for the rest of your life. If you choose to go to Manly or Watsons Bay, you’ll be treated to some delicious seafood and you’ll also have an opportunity to go snorkelling. On the other hand, you might want to visit Cockatoo Island, which is now a haunted naval storage facility, but which provides breathtaking views of Sydney Harbour. Have a cocktail in a bar and enjoy your first day in Sydney. Once you’ve recovered from the journey and adjusted to the new time zone or even season, depending on where you came from, it’s time to do some walking. You may join one of the organised walking tours or have a self-guided one starting from Circular Quay. Once you’ve seen the Harbour Bridge up close, you can gently stroll towards the Opera House. Continue in the direction of the famous Sydney Royal Botanic Gardens, Sydney’s city centre, before ending your tour in Darling Harbour. What you’ll be able to see along the way are the Museum of Contemporary Art, the Sydney Museum, and, finally, the Powerhouse Museum and Australian National Maritime Museum. 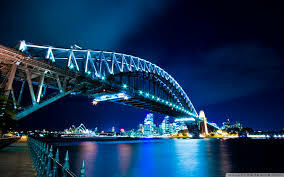 If museums are not your cup of tea, you can relax in the IMAX Theatre or visit Sydney Aquarium, Wildlife Sydney Zoo and Madame Tussauds, though many people consider it to be a classic tourist trap. One of the things Australia is famous for is its wildlife. Being a home to many animals that are hard to come across anywhere else, Australia is the perfect destination for all those interested in wildlife. If you’re travelling in a large group, it might be a good idea to contact an agency specialising in coach hire in Sydney and organise a fantastic day out. 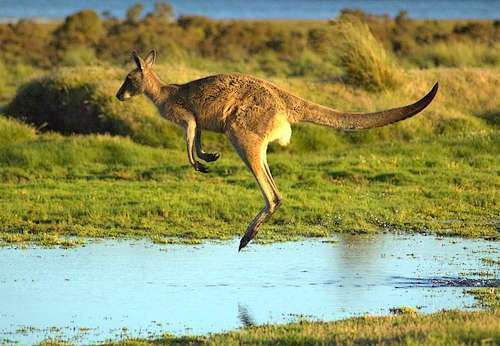 Seeing kangaroos, koalas, platypi, Tasmanian devils or wombats will surely make your day. This could be the day where you focus on the urban aspect of Sydney. A visit to the Sydney Tower Eye will be rewarded with splendid views of the city to the Pacific or the Blue Mountains. If you need an adrenaline rush, we can recommend the Sydney Skywalk experience, which is a moving, glass-floored viewing platform at the top of the Tower, but those faint-hearted should definitely give it a miss. After you’ve enjoyed viewing this beautiful city, you can finish the day with a visit to one of many restaurants offering dishes from pretty much every part of the world. No visit to Australia would be complete without a visit to a beach and Sydney is an excellent place to do that, especially during the summer, which lasts from December to March. You may go swimming, surfing, snorkelling, water skiing or simply sunbathe. Probably the most popular beach in Sydney is Bondi Beach, famous for its sapphire water, awe-inspiring waves and golden sand. You might even take a surf lesson and see why so many surfers flock to the Australian shores. No matter where your interests lie, you’ll definitely find something you like in Sydney and the area around it. Although five days don’t do justice to this amazing city, it can still be enough for you to get the taste of what it’s like to live in Sydney. Chances are, you’ll want to return some day.